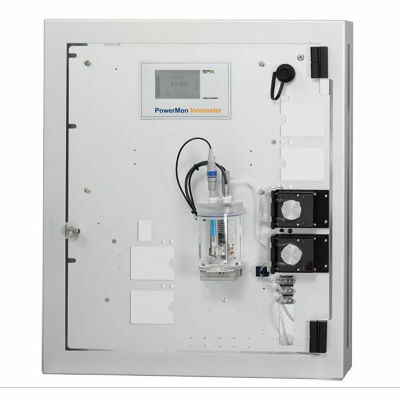 The PowerMon Ionometer is a versatile applicable on-line measuring instrument, which is used for the monitoring of the legally prescribed limit value in the outlet of municipal and industrial purification plants. 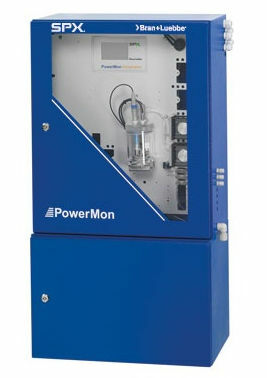 Apart from higher precision and shortening of the measuring cycles the PowerMon offers a special highlight: For the measurement of most diverse parameters (e.g. oxygen, pH, redox, conductivity etc.) the connection of various sensors is possible! For the individual sensors the PowerMon automatically takes over the functions of a transducer. It is also possible to set the separate results against each other. A remote supervision enables the permanent control of the correct function of your plant. The highest possible data transfer over the interfaces, as well as the operation of the PowerMon via the touch screen user interface ensures an easy and user friendly operation. The compact and modular design of the PowerMon can contain up to six on-line measuring points in one device and enables a space-saving and economic operation.